Did you know that Superman’s origin story is actually an elaborate cover up? He wasn’t born on another planet. He’s not an alien species with super-human powers. But I imagine that if superheroes really did exist on Earth, and eating certain foods was the only way they could acquire their powers, then avocado would be the number one delicacy of choice. The reason is, an avocado is a rich source of nutrition, what a healthy and strong body always needs. This little fruit, found in Mexico and parts of Central America, is crammed full of nutrients, antioxidants and vitamins that have been proven to decrease health risks, protect vital organs, and improve nutrient absorption of other foods. 1. Avocados Are a Good Source Of Fiber. Controlling our blood glucose levels. Improving our heart health by reducing developing a variety of heart-related diseases. Lowers the risk of piles. Restricts developing kidney stones by regulating our blood stream sugar. Helps to reduce symptoms of Irritable bowel syndrome (IBS). So, what could be an adequate intake for fiber? According to the National Fiber Council, a healthy adult needs 32g of fiber every day. To make it MORE elaborate, the American Heart Association recommends a minimum of 25g of fiber for a 2000 calories diet. And all this should come from the foods, not from the supplements. But, as per the latest Dietary Guidelines by the USDA, potassium and fiber are under-consumed nutrients. So, how much fiber this fleshy fruit (avocado) can provide us ? Avocado is a fruit rich in a variety of body essential nutrients and could fill you up by 7g of fiber for every 100g of it. 2. A Rich Source of Potassium, The Nutrient Your Body Needs. Potassium is important for muscle control because it builds protein, improves your nerve function because it controls electric activities of heart, and controls acid-base ratio in the body. Reducing blood pressure because potassium reduces the adverse effect of sodium on your blood pressure. Reducing the risk of developing kidney stones. Improves your weight loss efforts because it makes your muscles stronger for better exercise and burns more calories. As per dietary guidelines, an average adult requires 4700 mg of potassium every day. An average avocado weighing 100 g can charge your body with 485 mg of potassium which is 10 % of an average adult’s daily recommended amount. 3. Avocados Lowers bad cholesterol (LDL or Low Density Lipoprotein). Bad cholesterol refers to LDL or low-density lipoprotein. It is referred as the bad cholesterol (when it is too much of the required level, in a good condition it should be below or equal to 100 mg/dl) because it increases chances of developing atherosclerosis, a condition in which our arteries are clogged up by fatty deposits. 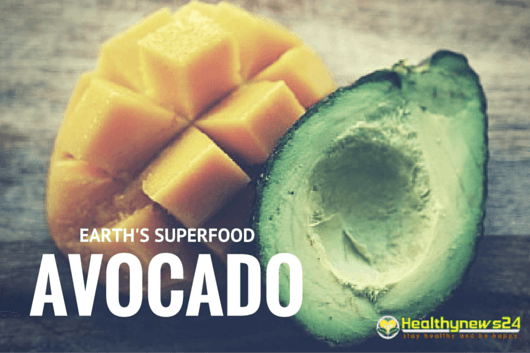 So, how do taking avocados daily help us in improving our bad cholesterol levels? First, avocados have no cholesterol but are rich in bad cholesterol reducing monounsaturated fats (a 100 gram of avocado adds up 10 g of monounsaturated fat to diet). Also, several research studies have indicated that a diet consisting of avocado may reduce bad cholesterol levels. A study by the researchers of Pennsylvania State University also adds up in favor of LDL cholesterol reducing effect of avocado. The study was done on 45 overweight people with 2 moderately high fat diets (one of them with 136 gram of avocado) and 1 low-fat diet. At the end of the study, when the results were compared it was found that the moderately high fat diet with avocado had significantly reduced the bad cholesterol. But, too much of a good thing is not always good. Avocados are rich in calories and getting them more in your diet should be restricted. Also Read:﻿ 15 Best foods that lower cholesterol levels. HDL is often referred as the good cholesterol because it reduces the risk of heart diseases and stroke. HDL is responsible to absorb the LDL cholesterol from arteries and carries it back to the liver where it is broken down and flushed from the body. 5. Regulates Your Blood Sugar Levels. A healthy adult should have 70-99 mg/dl (3.9 to 5.5 mmol/L) fasting blood glucose, and <140 mg/dl (7.8mmol/L) after 2 hours of a meal. 6. Reduces The Risk of Stroke. Stroke is one of the leading causes of death in the United States as per the latest statistics. And if We think worldwide, nearly 15 million people suffer from stroke across the globe, as per the World Health Organization. Getting avocado in our diet helps to reduce blood pressure which is the main cause of stroke. But, avocados are also a rich source of folate (vitamin B). And studies find that folate (vitamin B or folic acid) reduces the risk of stroke. A medium size avocado can give your body 163 micro grams of folic acid that is 41% of daily recommended intake. 7. Protects Against Eye Diseases. Avocados are an excellent source of lutein and zeaxanthin, the two carotenoid that restricts protects against age-related eye diseases when we grow older. These carotenoids filter high energy wavelengths of light that affect healthy eye cells. These two eye essential nutrients are not produced in our body, and so we need to eat fruits and vegetables rich in lutein and zeaxanthin. According to the Avocado Central, 81 micrograms of lutein is found in an ounce or 28 grams of avocado. 8. Improves Nutrient Absorption In Your Body. Nutrient absorption is the ultimate goal of a healthy digestive system. When our digestion is not proper, our body does not get the required nutrients it needs. First, avocados improve our digestion due to fiber content. 9. Avocados Prevent Birth Defects. In the United States, 1 in every 33 newborns has a birth defect. And most of those birth defects happen when the organs start forming in a baby, that is probably the 12th week or 3rd month of a pregnancy. However, there are various reasons for birth defects like smoking, overweight, drugs, taking alcohol etc. And many of them can be avoided by just following advice of your physician or choosing a healthy lifestyle. But, folate deficiency to be checked and fulfilled because it is critical in the development of brain and spinal cord. And here, avocados are recommended due to their B vitamin or folate. One medium avocado provides your body 23% of its recommended daily serving of folate. 10. Helps to Strengthen Your Bones. There are reasons that avocados help you strengthen your bones like it is a vitamin K dense fruit: vitamin K enhances the calcium absorption in bones and restricts urinary excretion of calcium. A 100 gram serving of an avocado contains nearly 24% of our daily recommended vitamin K.
Vitamin E is also a potent antioxidant and do a whole lot of good things to our health. A 100 gram serving of an avocado contains 14% of our daily recommended vitamin E.
11. Avocado is Anti-inflammatory in Nature. Peptic ulcer, chronic periodontitis, sinusitis etc. However, flavonoids and polyphenols in avocados have been found to reduce inflammatory disorders, like arthritis.​ Making it one of the best home remedies. 12. Boosts Up Your Immune System. There is no way you don’t know the benefits of having a healthy immune system. It’s is our body’s own fence to defend a variety of diseases. You can have a healthy immune system by following a good lifestyle, eating healthy foods, maintaining your healthy weight, exercising regularly etc. 13. Slows Down The Aging. Avocados are loaded with key nutrients that slow down skin aging. Glutathione, in addition to all of the other antioxidants packed into each bite of avocado, is also linked to slowing down the aging process, helping you look younger for longer. ​​14. Helps You Lose Weight And Stay Fit. How do we lose weight? This is the most common question among every individual, and in fact at a some point of life everybody asks it. However, the concept is very simple, we get a fit body if we consume all calories we take. And those who keep on adding them become obese. But, the consumption of avocados is good for those who want to lose weight without starving. The fiber in avocado alone helps in regulating your digestive system and making you feel fuller longer. Also Read: 16 Easy tricks to lose weight at home. 15. Avocado Heals And Nourishes Our Skin. Who doesn't want brighter and glowing skin? Here this amazing fruit of nutrients also adds up a lot to your skin. The healthy fats, vitamins, and fiber in avocados make the fruit great at protecting and nourishing skin. It also helps enhance the complexion. Avocado has also been used to treat certain skin conditions. Also Read: 15 Easy ways to get rid of acne and improve your skin ﻿at ﻿home. Above things suggest that avocados are a good disease preventing as well as fighting agent. You can use it in making salads, pizzas, soups or in anything you make to eat and digest. This is a fruit for your entire family. It’s your time now, if you want to share anything regarding avocados, please let us know in following comment section. Cheer up and stay healthy.